When Does a Fringe Movement Stop Being Fringe? Even the most feared white supremacists in the lore of Jim Crow were just regular white men. Suddenly, the “far right” doesn’t seem so far. On Friday night, hundreds of protesters descended on a statue of Confederate hero Robert E. Lee in Emancipation Park in Charlottesville, Virginia. 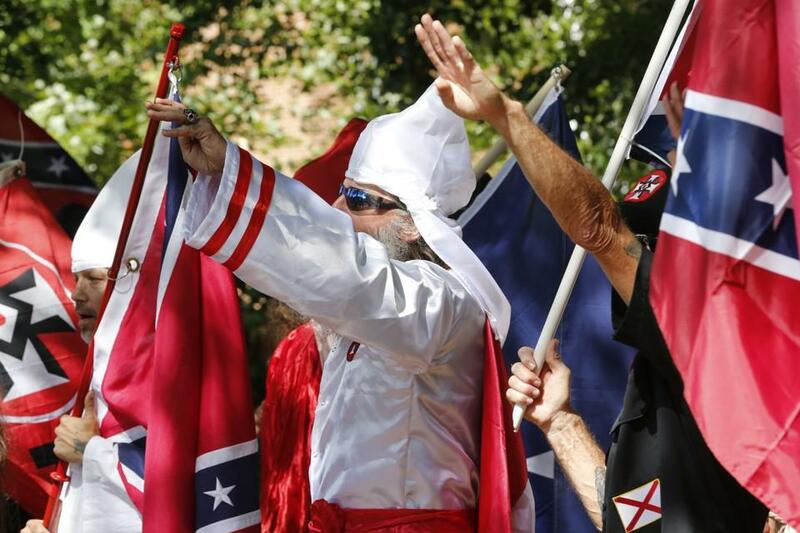 Carrying tiki torches, waving Confederate battle flags, and sometimes armed with clubs and shields and flanked by self-styled militiamen with heavier arms, the protesters, described by many as “white nationalists,” brawled with counter-protesters in Charlottesville streets, a situation that led Virginia Governor Terry McAuliffe to declare a state of emergency Saturday. Still, the fallout, the latest in a year-long series of growing protests centered around that statue in, who’d taken the streets to celebrate their perceived victory against the white-supremacist protesters. So far, , and many more are injured. Officials have not yet said if they think the incident was deliberate. Top-ranking uniformed leaders of the Army, Air Force, Navy, Marine Corps and National Guard all posted on social media condemning racism, hatred and extremism. As a group of activists complete a March to Confront White Supremacy, here is a list of terms racist and misogynist groups use in defending their views.